Just as your job search should be targeted to specific industries, companies, and disciplines, the language in your resume should be geared to those who make hiring decisions in these fields. 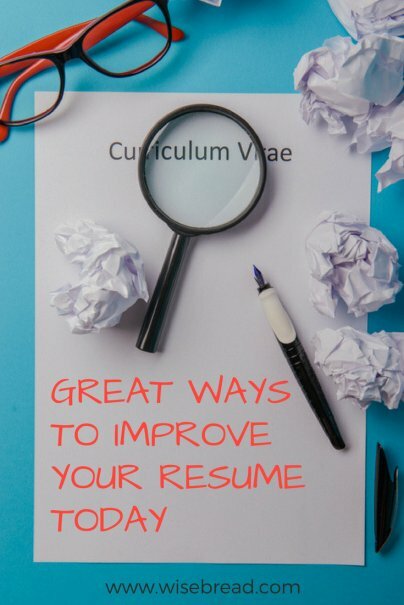 Very often, the culture of your current employer requires you to use certain terms, phrases, and acronyms that are unrecognizable outside of your workplace; as a result, reading your resume is like deciphering a foreign language. Replace company lingo and buzzwords. For example, you can "direct employees and manage recruitment, hiring, performance reviews, coaching, and career development...develop and administer annual operating budgets...deliver presentations to customers, employee groups, and vendors...collaborate with design, merchandising, sourcing, and logistics teams...travel throughout Europe and North America to visit customers, investigate new vendors, and research global trends." Sales, percentage of sales growth, and new accounts opened. Presence worldwide (e.g., stores, distribution centers, visitor traffic, subscribers, countries with sales offices). Purchases to support daily operations or expended for capital projects. Employees supported or supervised directly. Add specifics that convey your duties explicitly if a position involved performing tasks not typically associated with your job title. Place a descriptive title in parentheses next to the official title. Streamline your employer's names, especially if your employer has been through mergers, acquisitions, etc. List the most recent or most prominent name rather than every variation. Send a visual signal that certain items are important. List accomplishments in bulleted form distinct from regular duties contained in a paragraph or add a heading for "accomplishments." List team achievements in addition to individual ones, as most are made possible in collaboration with other people. Introduce or conclude the accomplishment with "contributed to" or other appropriate wording to show your role. Update your professional and community activities to reflect current involvement. Replace your objective with a professional profile indicating areas of expertise. Streamline information on portfolio projects, interim jobs, part-time work, and internships to key points meaningful to your present career goals, rather than a full description of all activities. Boost the visual impact of your real-world jobs by elaborating on most recent positions and accomplishments, especially if you are now working in your desired field. Move your education to the bottom of your resume so that your more current experience is highlighted. Adjust your font size to 11+ points and add white space by trimming words and widening margins. Expand content to two pages if necessary. Ditch the template, particularly the one that places your contact information in teeny-tiny font sizes. Consolidate freelance positions rather than listing each assignment separately. Reduce the number of fonts to one but use attributes (italics, bold, character spacing, all caps, etc.) to differentiate headings and sub-headings. Remove wording that reads like a job description. How have you changed your resume to improve job-search results? I definitely think that making a resume targeted to the specific job you're applying for is worth the effort, especially if you freelance and have several different gigs you can highlight. Thanks Meg -- you can tweak the resume for each job as you go along or create distinct versions in sync with one or two desired fields before you start your search (and try to avoid tweaking for individual jobs). In some cases, after a six-month search, people find that an industry or field has few openings so it makes sense to re-do the resume (or certain portions) to fit a completely new field. You make an excellent point in regard to freelance gigs, especially if you handle various types of positions -- you could definitely move things around, revise wording, etc. to showcase certain skills and experiences.